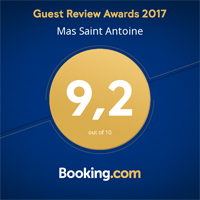 Our 17th century renovated Mas or farmhouse is set in 2/3rds of an acre amidst orchards, on the road between Avignon and St-Rémy-de-Provence ideally situated for exploring Provence. 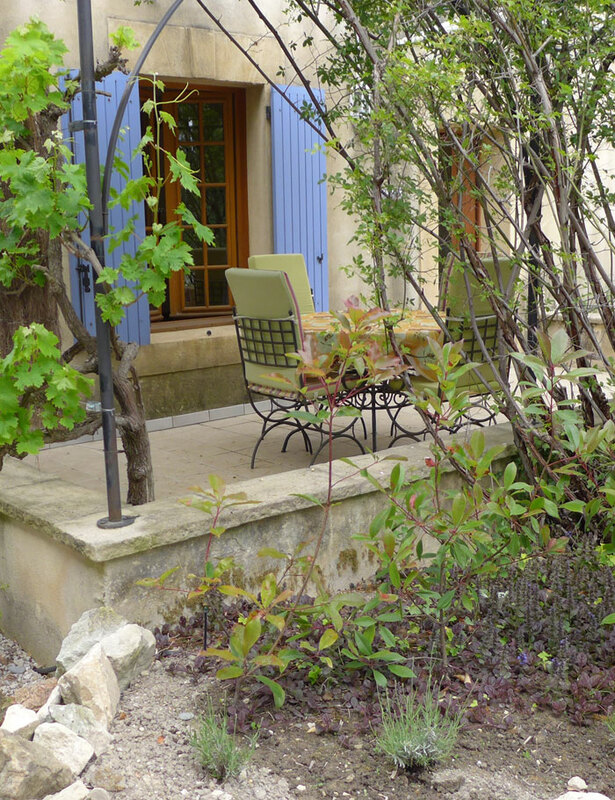 Our outbuildings have been converted to comfortable, fully equipped self-catering Gîtes (guest houses) and our gardens are landscaped to include a 12 x 6m swimming pool, summer house, a pond and waterfall, and secluded seating areas for the use of our guests. 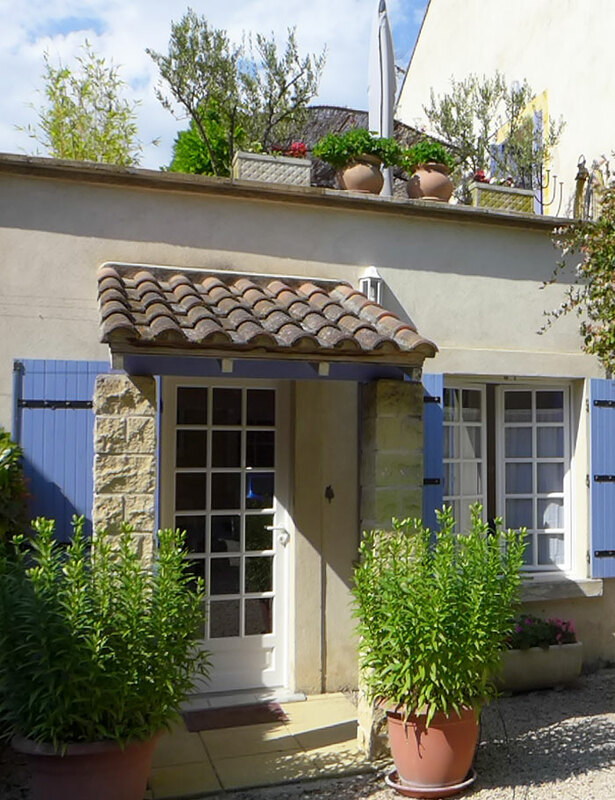 At 500 meters from the village of Rognonas and all its services, you are at an easy walk or drive from four bakeries, one grocery store, two "traiteurs", two bars and three restaurants as well as all the other conveniences of an active village. 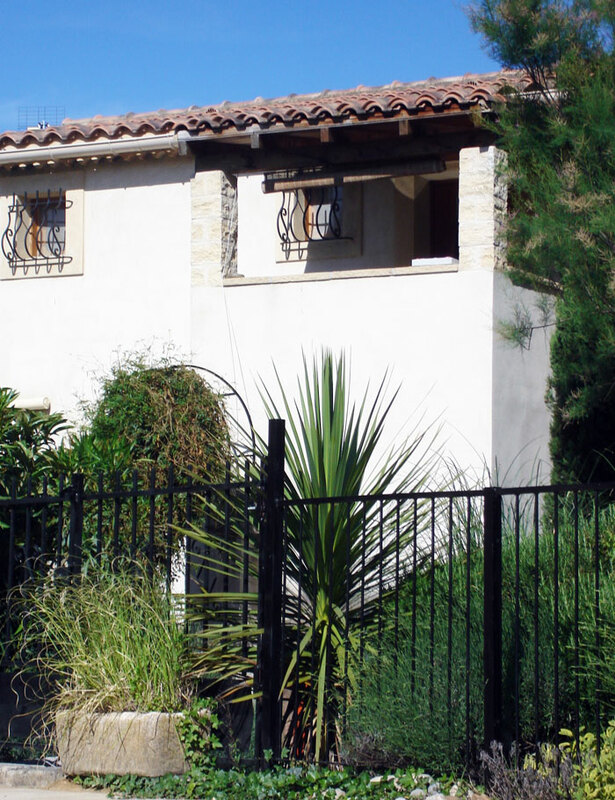 The city of Avignon's exciting downtown itself is but a seven-minute drive away. 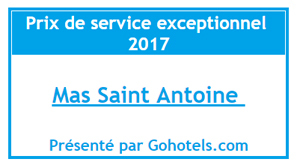 As well as standard self-catered "Gîte" accommodation, we offer a range of services to make Mas Saint-Antoine "more than just a Gîte", ranging from local information services and mini Boule tournaments - see Other Services. 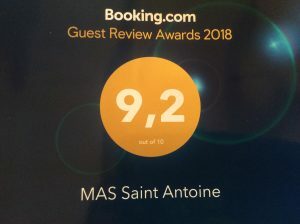 Mas Saint Antoine sleeps up to 24 people so is an ideal place to celebrate those special occasions, significant birthdays and family & friend reunions. 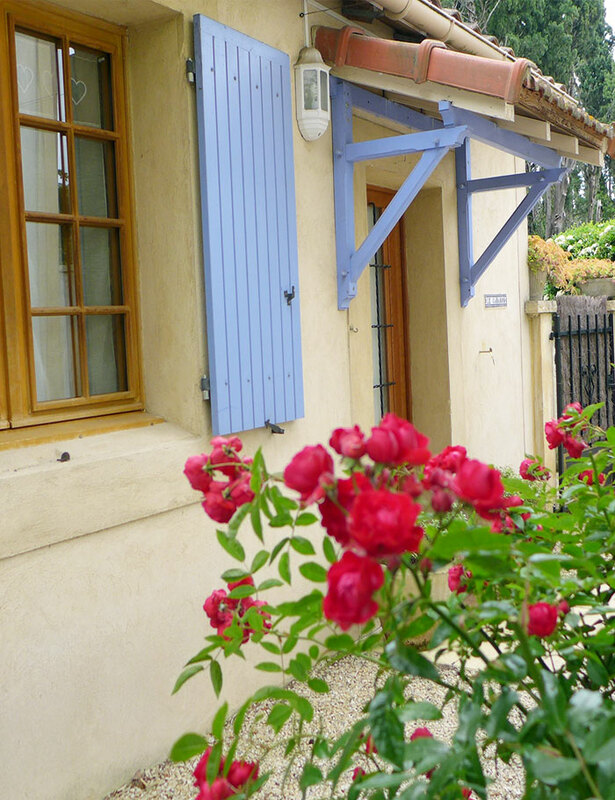 Our location is ideally suited for cycling, walking, wine tasting and painting holidays. 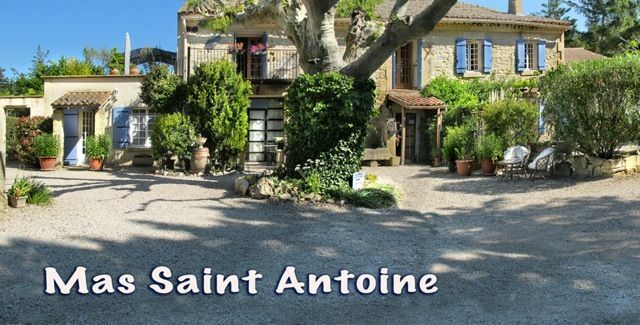 Our gites include a 17th century renovated Mas or farmhouse and converted outbuildings set in 2/3rds of an acre amidst orchards on the road to St Rémy de Provence. 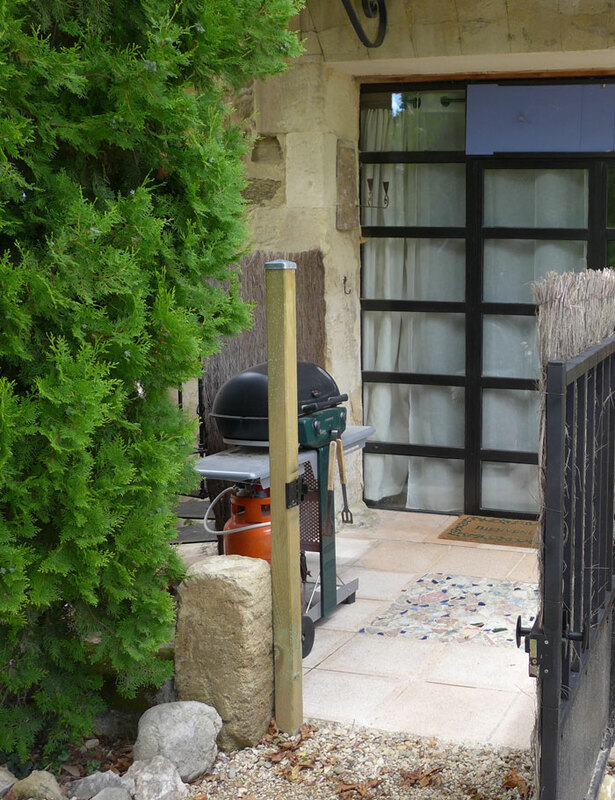 Each gite has its own private outdoor eating area complete with garden furniture and gas BBQ. The large 12m x 6m swimming pool and gardens are shared with the other guests. Prices are seasonal. 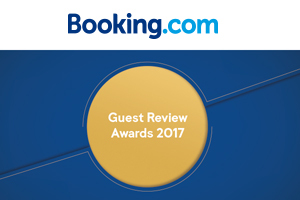 A full price list and availability can be viewed by checking availability. 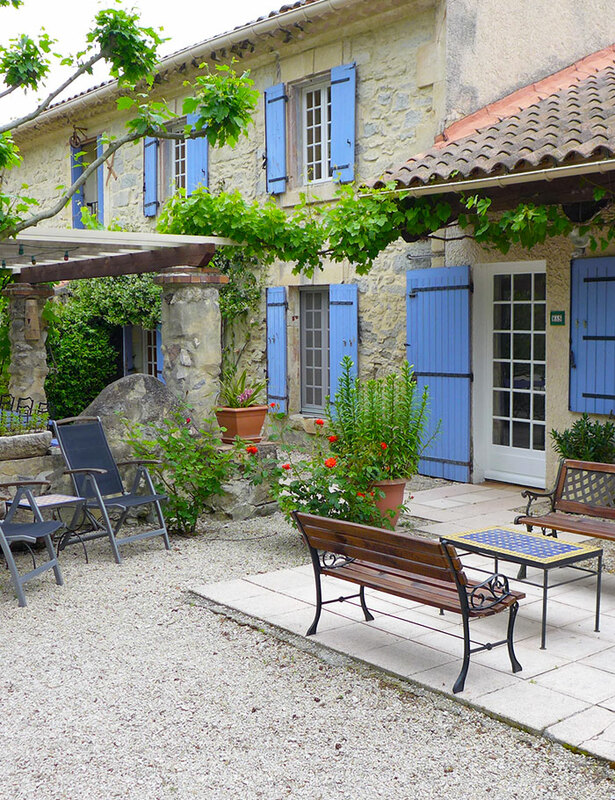 Click on the name to view photos and details of each gite.